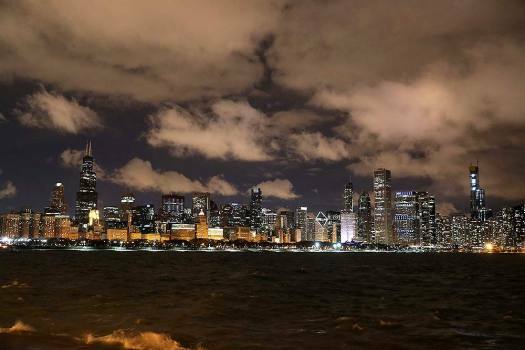 The Chicago skyline is partially powered down for Earth Hour. 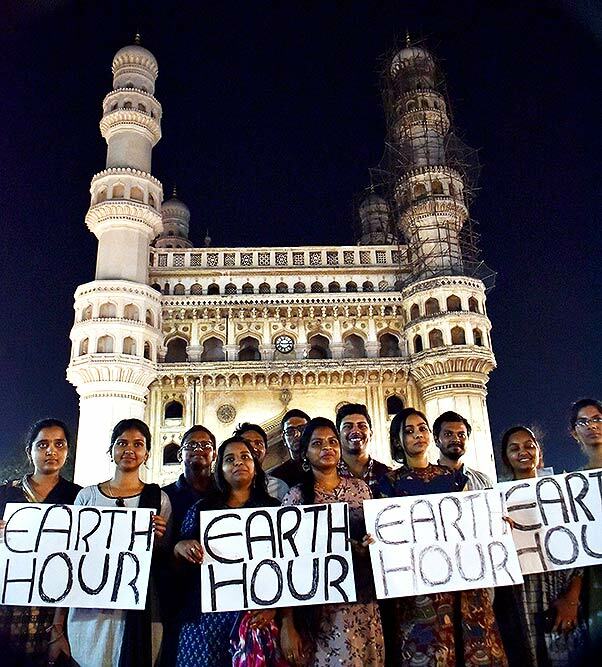 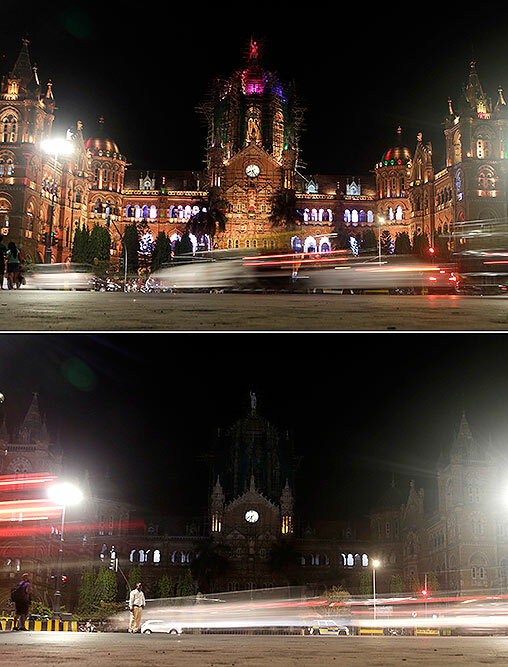 People participate during Earth Hour 2019 by holding placards in the backdrop of historic Charminar in the old city of Hyderabad. 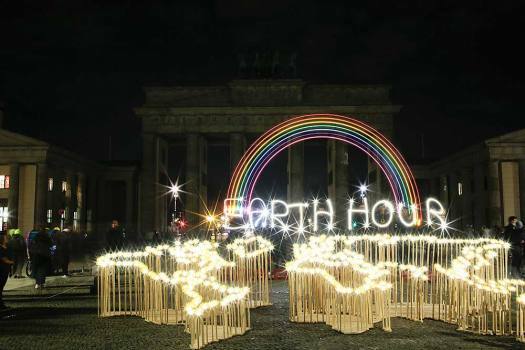 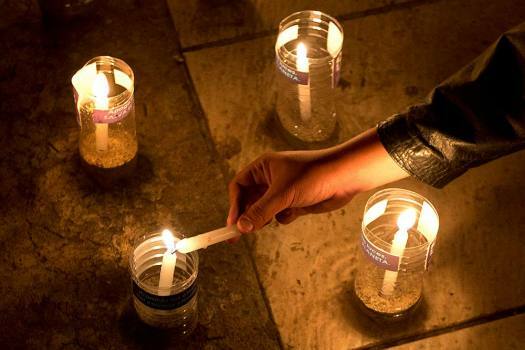 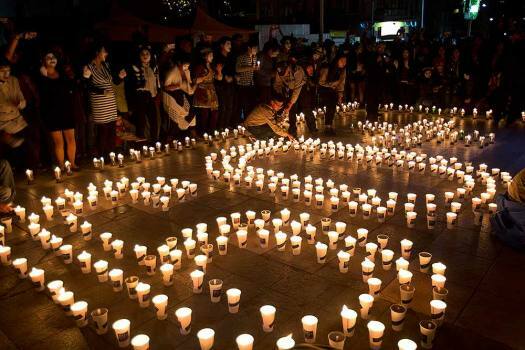 Activists of the World Wide Fund For Nature (WWF) write the words 'Earth Hour' with led-lights in front of the blacked out Brandenburg Gate to mark Earth Hour, in Berlin. 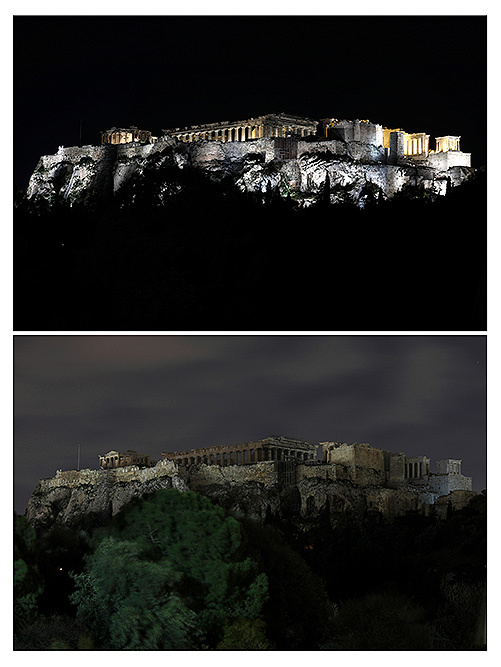 This combination of photos show the Acropolis hill before and after having its lighting switched off to mark Earth Hour in Athens. 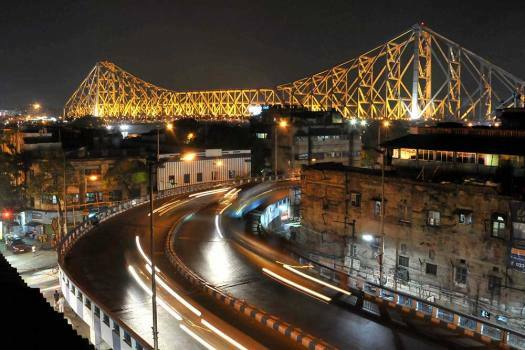 Iconic Howrah Bridge seen lit before Earth Hour, in Kolkata. 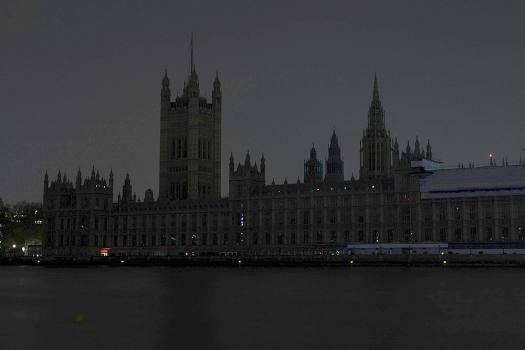 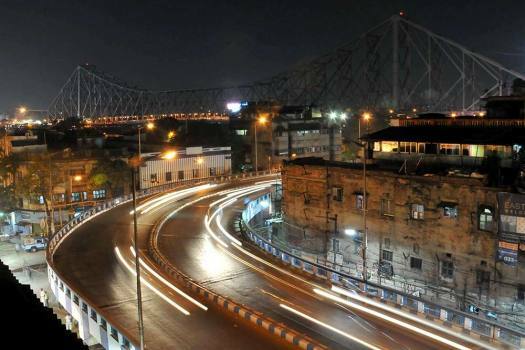 Iconic Howrah Bridge seen in darkness after lights were turned off during Earth Hour, in Kolkata. 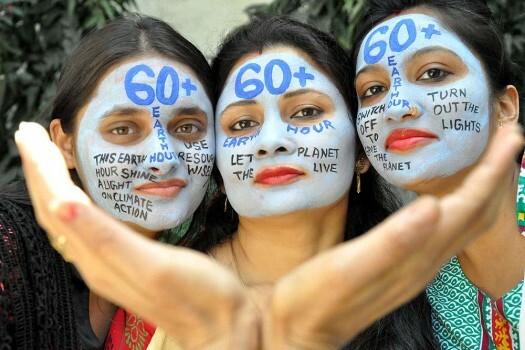 Women with their faces painted to on the eve of 60th Earth Hour, in Muradabad. 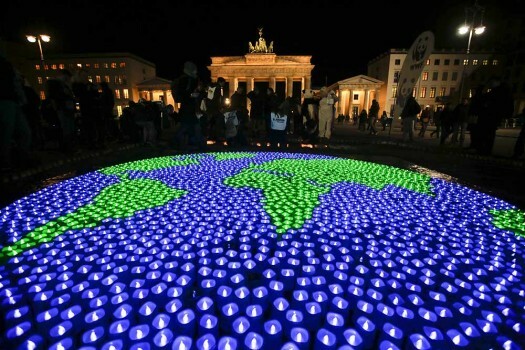 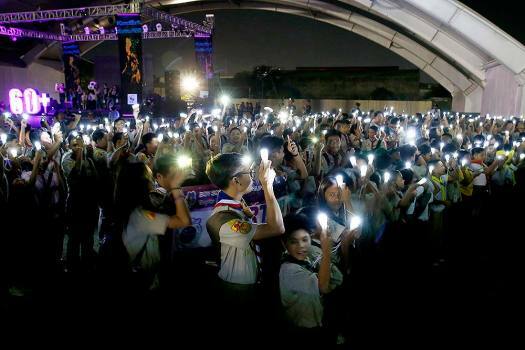 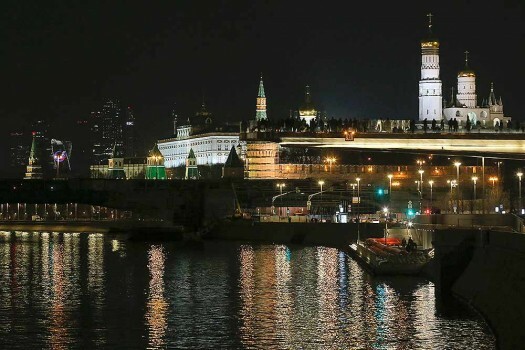 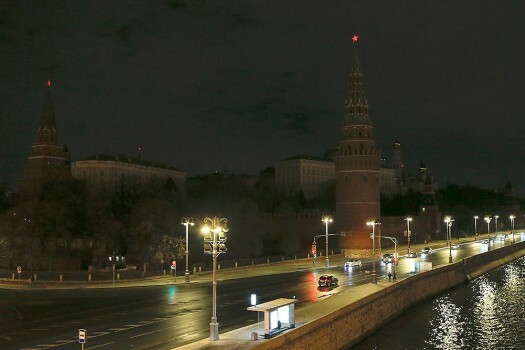 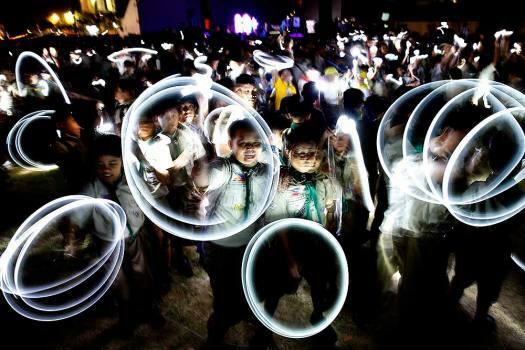 A globe illuminated with led-lights by activists of the World Wide Fund For Nature (WWF) in front of the Brandenburg Gate to mark Earth Hour, in Berlin.